Hello everyone! I’ve been a bit quiet on the blog recently as my gorgeous husband is back from Afghanistan for a very short 12 days. But… making the most of him being back in the UK (currently in partially cloudy Clacton), I’ve roped him into doing an interview in what I hope will be the first of many in the Daddykind Corner segment of our blog! What do you remember about your two girls being born? Apart from them being 6 years apart? With Kiera I was being asked every two minutes if I was going to cry. I’d just got back from Afghanistan and that was when 3 guys from my regiment had just been killed. Kiera’s nan was annoying me, asking if I was going to cry, and made a comment about me reading the newspaper story about my friends who had died in Afghanistan. She was very overbearing. With Olivia, I remember playing Cotton Eye Joe at 6am while Sarah was in labour, cancelling the cinema trip to see Alice in Wonderland with Kiera. We had an Irish midwife saying it didn’t hurt Sarah that much as she wasn’t that far along, so I started thinking how is she going to cope when it starts to really hurt? Then we moved upstairs to a room where Sarah wouldn’t allow anyone to turn on the air con, so I was really sweating out. I had bad B O thanks to that, so didn’t get skin to skin with Olivia. How did you feel once the babies were out into the big wide world? When Kiera was born I laughed nervously – it was real then. It was quite daunting because I was a dad for the first time. I had Kiera on my lap, slumped over, and I didn’t know if I could move her or if I would break her neck – she looked so delicate. She looked around and I gave her a bottle while her mum had her c-section stitched up. I didn’t feel daunted by Olivia being born. I knew I was a good dad. Was there any difference to you between baby number 1 and baby number 2? Because of having Kiera when I was younger, I felt more confident having Olivia when I was older. I thought that, if Olivia was like Kiera, this was going to be easy. I was worried before having Olivia that I wouldn’t be able to love a second child as much as I loved Kiera. What did you know about postnatal depression? Not a lot. In hindsight, I think Kiera’s mum had it after she gave birth but she didn’t get it treated, unless she did after I went back to Afghanistan. I thought maybe she did when I spoke to my friend about his wife having PND. The stuff he was saying was very similar to what she was doing at the time. I had more of an understanding when it came to Sarah but I wouldn’t say I knew what was going on. How did antenatal classes prepare you for what was coming? They didn’t, really. How can they? 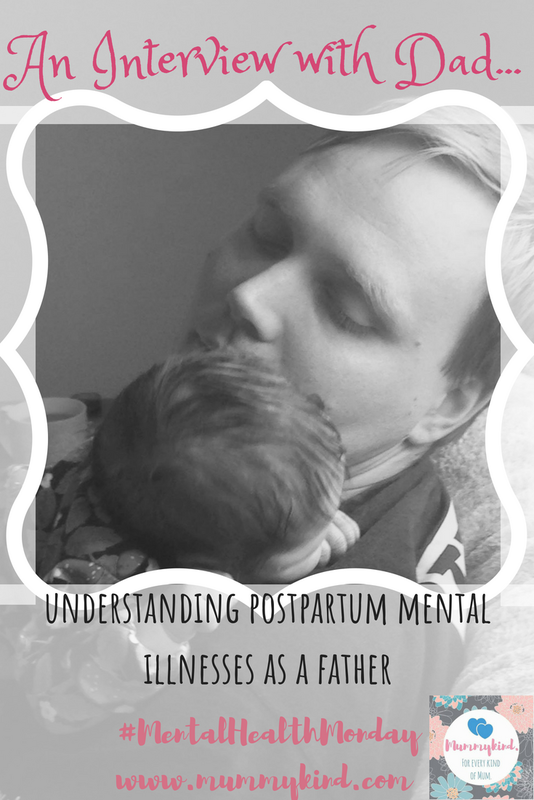 What postnatal mental illnesses have you heard of? Did you know how to support your partner through PND or other mental illnesses? No, but I’m a positive person. I tried to infect Sarah with bits of my positivity (unsuccessfully). I still didn’t understand what she was going through but I don’t think I ever will unless I suffer with a mental illness myself. What do you think could help men and boys to understand mental illnesses and to create more awareness? I think mental health is getting a lot of publicity and awareness now anyway. The mentality of telling someone to “man up” is rife in society. I don’t think we can change that now – it’s a generational thing. If we started with getting depression talked about at a young age it will hopefully, as children grow up, start to remove that stigma. Really good post! perfect way to kick off #daddykindcorner! It's interesting to read about this from the partner's point of view. It's so difficult to try to support someone through mental illness when you can never truly fully understand what they are going through. It's important to raise awareness. Thanks for linking up with #kcacols and I hope you come back next time! Haha well the midwife was telling me I was only 3cm and wasn’t handling it – an hour later I was pushing! I think you’re absolutely right. We did NCT classes and postnatal depression was a topic in the “mums only” session – daft, as dad needs to know about it too! There are a whole host of postpartum mental illnesses that I wouldn’t have known about unless friends hadn’t experienced them, including PTSD/birth trauma, postpartum psychosis, postnatal anxiety – there are probably more! 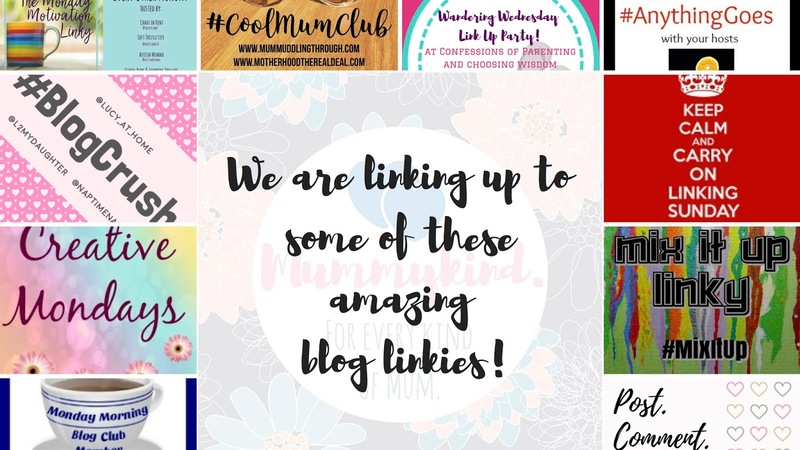 Those ones have been experienced by mums in Mummykind and have been written about on the blog before 🙂 thank you for your comment!! !